The heat is formidable. The guide even more so. The veld grass shimmers in a wave of gold as our boot-clad weary feet stumble over another hidden log. The “Don’t run! Don’t run!” chant has been taunting our brains for the past two hours – designed to remind bush-happy campers that we are in fact infringing on numerous territories of many organisms with big teeth – and has now become so stale that it might be worth the risk to run. A booming grunt suddenly breaks the monotony and the guide stops abruptly. Like a line of dominoes, the remaining seven of us bushwhackers duly crash into him. Not all roads lead to Rome, and not all grunts lead to lions. There, standing before us, blinking with spider-like eyelashes, is a fine example of a Bucorvus leadbeateri – a southern ground-hornbill. At first it looks as if this mighty specimen (the largest of the two species of ground hornbill) has stabbed an unsuspecting alien life form with its large, fearsome bill. But upon closer inspection we realise it is, in fact, gripping a ‘bird buffet’ consisting of a snake, a dismembered frog and a family of insects. It is, of course, brave and honourable (and important!) to spend one’s life trying to save the African rhino, the mighty polar bear and the whales for which our conservation hearts continuously mourn. However, what about the other, lesser-known species? What about the southern ground-hornbill? In Africa, southern ground-hornbills are classified as ‘vulnerable’ by the IUCN, however, those in South Africa are classified as ‘endangered’ on the Red List of Threatened Species as only about 1500 individuals live within the country. Loss of habitat, loss of nesting trees, electrocution from transformer boxers and even, in some cases, killed for use in traditional medicine, have all contributed to the rapid decline of these majestic birds. In the wild, group sizes of the southern ground-hornbills vary between 2-9 birds that form cooperatively breeding groups that consist of only one alpha male and one breeding female, with the remaining individuals helping with nest-building and protecting the territory. Much like some other birds of prey, the eldest chick always out-competes its younger sibling for food and the younger dies of starvation within a few days of hatching. Data from the Kruger National Park shows that, on average, one chick is raised to adulthood every nine years, with the average adult lifespan being 50 years. 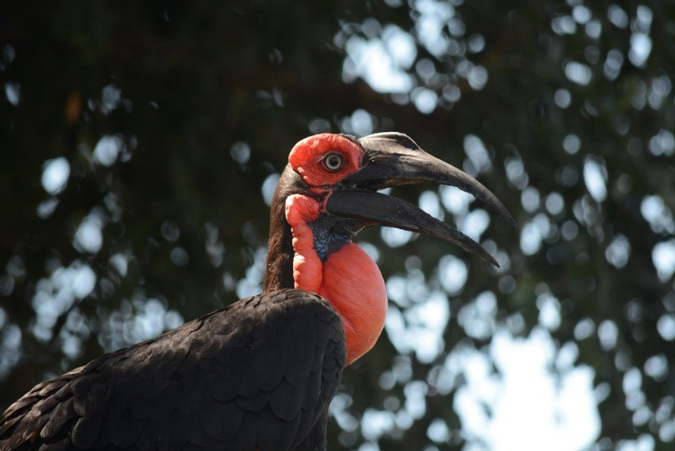 Efforts to conserve the species are being undertaken by various conservation projects, such as the Mabula Ground-Hornbill Project that has been running since 1999 within the Mabula Game Reserve. 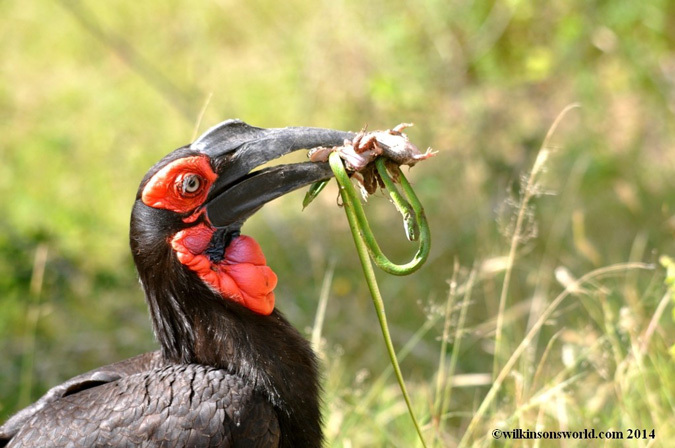 Conservation of the ground-hornbills often involve the harvesting, and hand-rearing, of second-hatched chicks that would usually die of starvation in their wild nests. Provision of artificial nests where there are none and reintroduction of these birds back into areas where they have become locally extinct form the basis of these projects. Without a doubt, conservation education and awareness campaigns aimed at the public and rural communities is essential. With the above in mind, we hope that you will spare a thought for some of those species that we sometimes forget. Find them, enjoy them, conserve them! Africa is the most well-preserved continent on the planet, offering rare sightings of wildlife and breath-taking landscapes. Why not come and experience it with us? 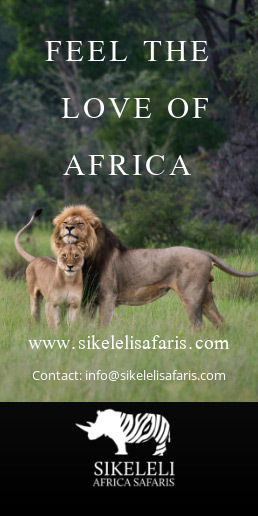 At Pulse Africa we are an experienced team of travel specialists, designing luxury holidays to Africa. We pride ourselves on our hands-on knowledge and ability to offer unique trips for leisure travellers, families, groups, incentives and special occasion celebrations to Southern Africa, East Africa and the Indian Ocean Islands.